Developing this biodynamic farm has taken ten years. 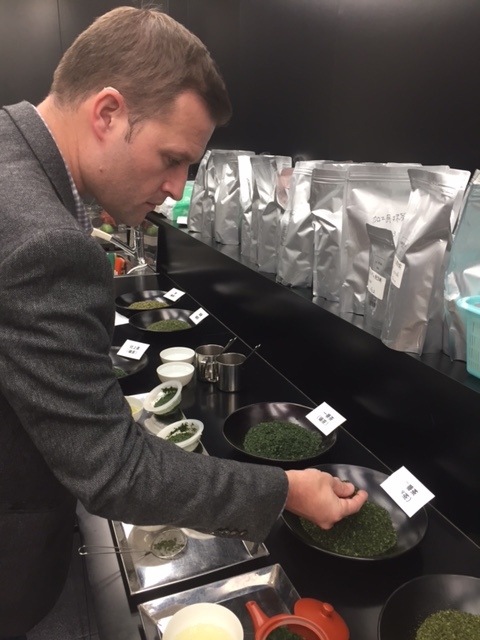 Traditionally, tea plants require three years growth before they can be harvested but growing plants in a truly biodynamic manner requires much longer. 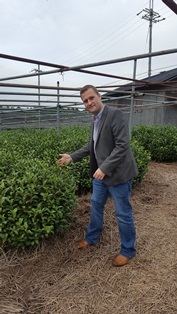 The soil is fertilised with natural compost. 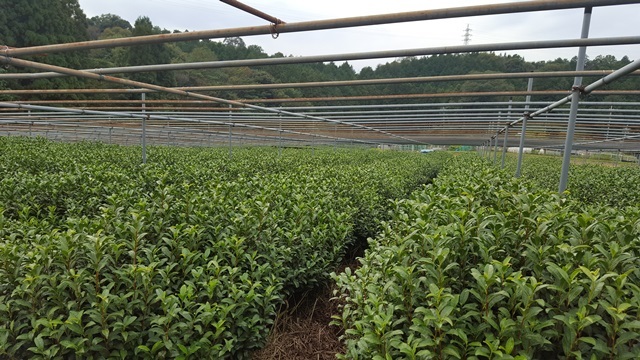 Tea is grown under a steel frame work. This framework will later be used to enable the traditional style of tea shading. Modern practices use large plastic sheets. 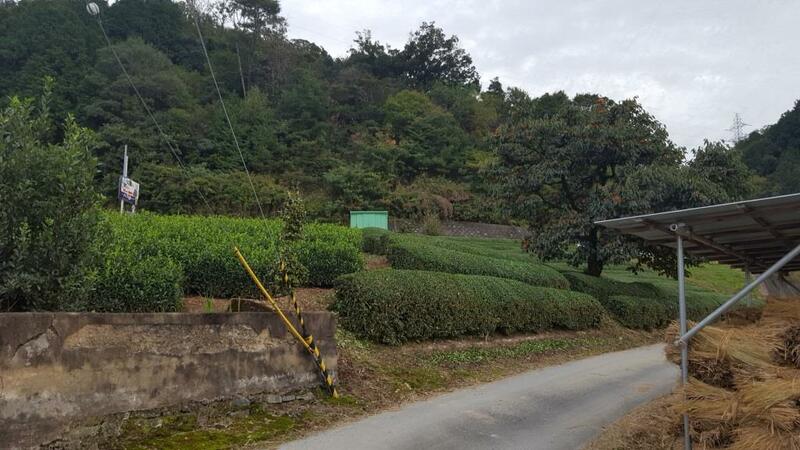 Tea is grown at relatively low altitudes in Japan due to it's more northernly latitude compared to the tea growning region of China or India. This plantation is at 300m. 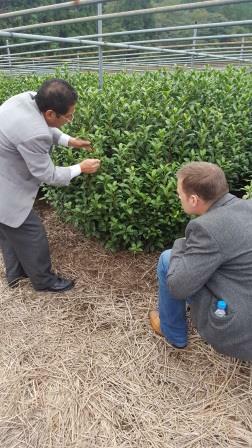 Learning the basics about picking tencha tea leaves; a process more skilled than picking traditional tea leaves. 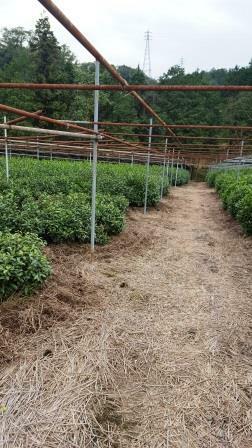 The natural organic and traditional style of coverings used for shading the tea before harvest can be seen in to the bottom right of the picture. 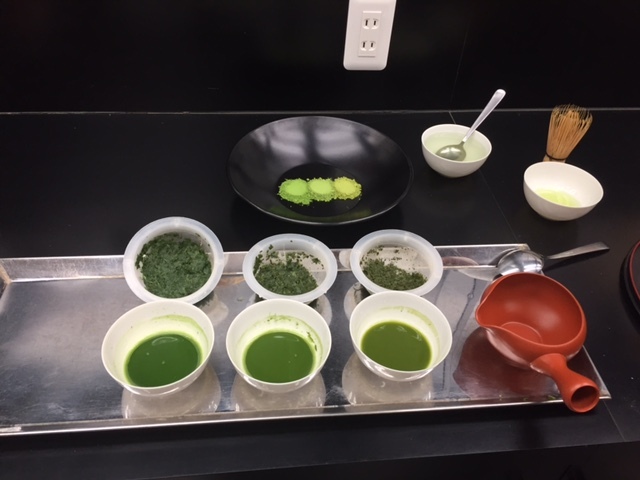 Evaluation of the various matcha blends produced here.